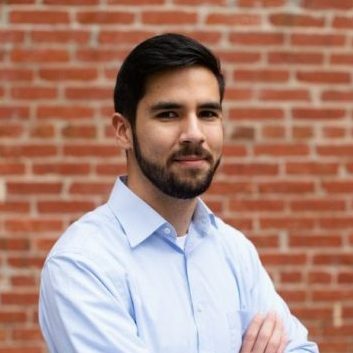 Phillip Hernandez joined the PREA Resource Center (PRC) in fall 2018. He supports PRC’s project-wide data collection and maintenance efforts, including national data on training and technical assistance inquiry and service delivery, PREA audits, DOJ-certified PREA auditors, and other project performance measures. He focuses on entering and validating data, developing and implementing record keeping protocols, and contributing to data management planning efforts across multiple PRC data systems. Phillip previously worked at Public Policy Associates, Inc., a Michigan-based public policy research and evaluation firm. There, he analyzed rigorous quantitative and qualitative evaluations of several multi-million-dollar public programs, ensuring efficient and effective use of taxpayer dollars, including quasi-experimental designs and randomized controlled trial methods, ensuring efficient and effective use of taxpayer dollars. He also served as a compliance monitor contracted with the Michigan Department of Health and Human Services for the Juvenile Justice and Delinquency Prevention Act (JJDPA). In this role, Phillip conducted hundreds of interviews and site visits with public, private, and juvenile detention facilities to ensure compliance of JJDPA’s Core Requirements, as well as troubleshoot implementation barriers with appropriate solutions. Phillip earned a dual bachelor’s degree in Public Policy and Economics from Michigan State University. He earned his Master in Public Affairs with a concentration in Economics from Princeton University. While attending, he served as a consulting researcher for the NAACP to assess the impact of Maryland’s court rule on pre-trial detention rates and bail, particularly for communities of color. Phillip also volunteered to teach algebra to incarcerated people at Fort Dix Federal Correctional Institution.